It was now about two months ago, but Adam and Shawn are still trying to wrap their heads around HeroesCon 2015. This week on Dollar Bin 2.0 they discuss their purchases. Advertisement: Don't forget to check out the National Trevor: The Movie Kickstarter. One of the things Shawn and Adam like to do that they rarely get the chance to, is go around the show and get books signed by the creators who put so much time into them. This year they were able to put aside some time to do this and talk some with the creators as well. Comics and music share a lot of affinities-both depend heavily on rhythm and intervals,and many cartoonists are also musicians-and cartoonist Ben Towle and blogger Craig Fischer have organized a diverse smorgasbord of a panel to explore these affinities. Ben will discuss the many ways cartoonists represent music visually, and will chair a wide-ranging panel on comics and music with Peter Bagge (Hate, Yeah! ), Ed Piskor (Hip Hop Family Tree), Andrew Robinson and Vivek J Tiwary (The Fifth Beatle). Craig will talk about the work of Marc Weidenbaum, an editor, teacher, and musician who's been combining comics and music in his creative projects for over two decades. And Charlotte, NC avant-duo Ghost Trees (Brent Bagwell on saxophone, Seth Nanaa on drums) will participate in two live comics/music performances, including a soundtrack for Joe Lambert's "Turtle Keep it Steady," a rock-n-roll retelling of the Tortoise-Hare fable! While Adam, Devin, Shawn, and Ted were up in the panel rooms managing the sound for 73 panels Brian was holding down the fort at home base as well as hitting the isles hard with true journalism. Listen here as he grills Jackie Lewis and Yale Stewart. 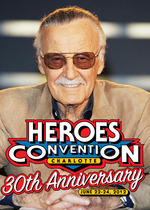 It was just announced today that Stan Lee will be at HeroesCon 2012. Lee has hit a few east coast shows over the past few years, but this will be the first time since 1984 he’ll be a guest at HeroesCon. What better way to celebrate the enormity of the 30th HeroesCon than to shake hands with Stan Lee, the most well known name in comics? I know the Dollar Bin will be there. Congratulations Shelton, and Happy Anniversary. 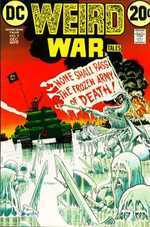 Pull up a bunk with us and join the platoon as we examine War Comics in their myriad of forms Nick Cardy (The Artist at War). Join Dollar Bin’s Adam Daughhetee as he sits down with Laura Martin (Planetary, Astonishing X-Men), Rachelle Rosenberg (Captain America), Charlie Kirchoff (Hellraiser, Doctor Who), Matt Wilson (Thor), Brian Reber (X-Men) discuss this integral aspect of comic art—the coloring. This panel has become a yearly tradition at HeroesCon. 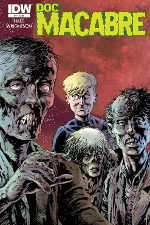 We take pride in this convention being for the entire family and what better way to celebrate Shelton Drum’s vision than by spotlighting comics the entire family can read. Chad Bowers will interview Andy Runton (Owly), Chris Schweizer (Crogan’s Vengeance), Chris Giarusso (Mini Marvels), Jamie Cosley (Cody the Cavalier) and come see what all the buzz is about. Green Lantern has been around since 1940 and after thousands of comic books, Hollywood has finally come calling. Please join Joe Staton, Joe Quinones, Shane Davis, and Neal Adams as they discuss their various takes on the character and how he has remained popular over the years. NOTE: Anyone wearing yellow or wooden clothing will not be allowed to enter the auditorium for obvious security reasons. Nice try Sinestro. Join us for a scintillating conversation between HeroesCon’s very own Doug Merkle and the master-mind behind Marvel’s summer Magnum Opus Fear Itself, Matt Fraction. 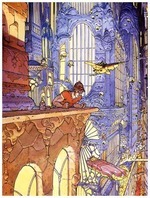 This will be a panel you’ll look back upon often as the summer wears on.